8-Bit Girl: Vote For Me in the UK Blog Awards! My blog 8-Bit Girl is up for public voting in the National UK Blog Awards! Being nominated for an award and making in into the voting stage was a good enough achievement for me, but I would love to get further! Please vote for me and this blog by visiting the link below. Please note, that whilst I appreciate your willingness to vote, only one vote per person is accepted by the judging panel, so don't go spamming! 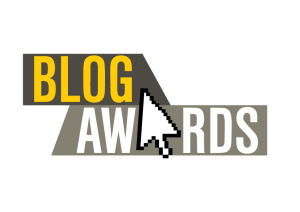 Thank you to everyone who votes for me and my blog. I really appreciate that there is a bunch of you out there that enjoys reading my posts, even if they are few and far between when things get a little busy!